Personal injury. You have options when you have been hurt because of someone else’s actions or negligence. From auto accidents to wrongful death, and every catastrophe in between, the firm’s attorneys fight on behalf of you and your family to ensure that justice is served, and that you obtain the help you need to move forward. Criminal Defense. One small mistake, one error in judgment, one case of being in the wrong place at the wrong time these can alter the course of your life forever. Whether you are fighting a traffic ticket or a DUI charge, or fighting for your life against a capital murder charge, Taylor Jones Taylor is on and by your side from Day One, maintaining their reputation as one of northwest Mississippi’s toughest criminal defense attorneys. Family Law. In a perfect world, couples who wished to divorce would simply shake hands, divvy their things and part ways amicably. But the very real truth is that family law can be as heart- wrenching and contentious as anything else, because people are not perfect. When you need help protecting your family, you can rely on the firm to fight for you. Business and Corporate Law. The business world offers unique legal challenges, and even the most basic contracts need a lot of attention. Taylor Jones Taylor offers thorough and detailed counsel to help you grow, sell, expand or share your business in the most efficient and effective way for you. Probate and Estate Planning. Planning for the end of your life now can seem morbid, but it is one of the best gifts you can give yourself and your family. The estate and probate lawyers of Taylor Jones Taylor, help you enjoy your retirement to the fullest while ensuring that you have adequately provided for your loved ones and your favorite charities. At the end of the day, you want a lawyer who knows and respects who you are, and who wants to help you obtain your goals. 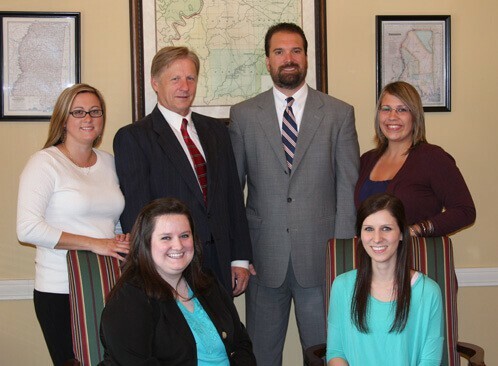 You will find that lawyer at the Southaven firm of Taylor Jones Taylor. It is why so many people in Hernando and Olive Branch trust the firm to help them when they need it most. Divorce, injuries, and criminal charges: these are stressful events, and without the right guidance you could find yourself in over your head. At Taylor Jones Taylor’s offices in Southaven, Hernando and Olive Branch, you will find lawyers who respect who you are and will fight for what you need. To see if the firm is the right fit for you, please call 662.253.5193, or fill out this contact form. We are proud to serve all of Northwest Mississippi, including clients in Tupelo, Oxford, Batesville, Grenado, Cleveland and Clarksdale. How can we make your life better today?